The Zimbabwe National Liberation War Veterans Association (ZNLWVA) yesterday blamed Local Government Minister, Saviour Kasukuwere for the recent wave of house demolitions which hit the city of Harare. Speaking at an emergency meeting, which the Herald say was held under a tense atmosphere, association’s Secretary General Victor Matemadanda said Kasukuwere commanded the demolitions. “We have seen brutal and inhuman treatment of citizens by local authorities at the behest of Minister of Local Government Saviour Kasukuwere through the destruction of homes and livelihoods. “Dzimba dzapera kuparadzwa. Vanhu vari kuregwa vachivaka dzimba dzakanaka, dzapera vanhu vopazirwa apa munenge mune vana vacheche vachangobva kuhospital. Kutiratidza Middle East isu tiri MuZimbabwe. Kushungurudza vanhu tinoziva idingindira reregime change,” said the emotional Matemadanda. Matemadanda also blasted Grace’s Mugabe’s recent meet the people rally held in Mazowe saying it was a waste of money. According to The Herald, Matemadanda said people should not interfere with the security sector. He warned those pushing for the security sector reform agenda of the Western governments through vilification of the defence forces. In other countries, he said, if you burn an army uniform you risk being charged with treason. “A soldier is a symbol of the State. But now the military has been made child’s play at rallies. Soldiers take allegiance oaths and even if you scold him, he cannot answer back. We are soldiers because once a soldier, always a soldier,” he said. This, said Cde Matemadanda, showed that the centre is being disturbed. “It is one centre that should be holding, vanhu varikutanhaura masimba ecentre vachigovana,” he said adding. “The powers of the State are not given to two or three people. There is one centre of power and that one is President Mugabe”. 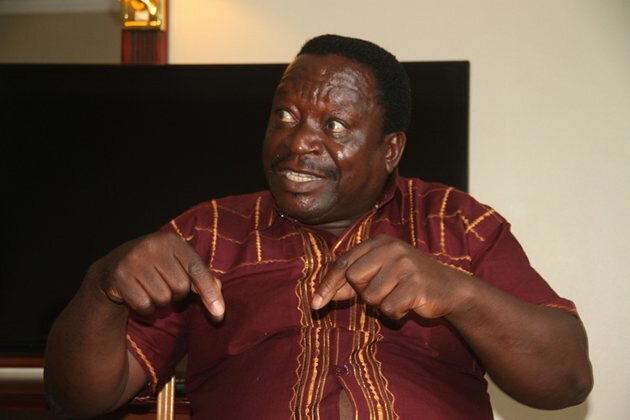 Matemadanda said the war veterans are not the type that is easily scared. “Hatisi type yekuvhundutsirwa it’s just that tine respect nevanhu. Sponsoring a Chiweshe rally and a Mazowe hotel, a bogus vote of no confidence against (ZNLWVA) won’t make you powerful,” he said. Commenting on VP Mphoko’s utterances on Karanga presidency, Matemadanda said there is no place for ethnicity slur in Zimbabwe. He said some people were seeking to divide and confuse the nation through promotion of tribalism at a rally in Chiweshe last week. He said as war veterans they were shocked by the song “MaZezuru unconquerable” and berating the Karangas. “Murikuti tidii? Murikuti chii maTusti nemaHutu muno muZimbabwe?”asked Cde Matemadanda. He said in Zimbabwe people are one, fought the war as one and would remain one people. This country, he added was not for the Zezuru, Kalanga, Venda, Tonga or Ndebele but Zimbabweans. “Munoda kuti zvisvike pakadii? Zvirikuda maporofita here kuti muone kuti nyika uirikuendakupi? The meeting was attended by provincial chairpersons and national executive members from all the country’s 10 provinces.